Following an incredible record-breaking event in June this year, Ultra Worldwide finally reveals the long anticipated official Aftermovie for Ultra Korea 2015, and announces its expansion to three days for 2016, the year in which it will celebrate it’s 5th anniversary. 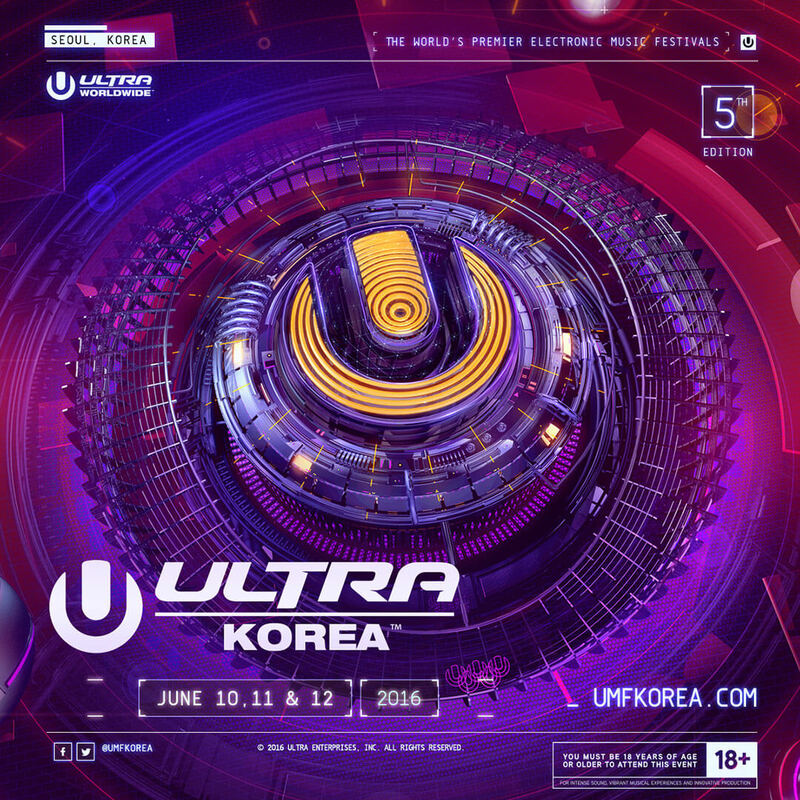 With over 110,000 revelers attending Seoul’s iconic Olympic Stadium Complex over 2 consecutive days on Friday, June 12 and Saturday, June 13 this year, Ultra Korea 2015 was the largest electronic music festival in the country’s history. Lauded by MTV Asia as the ‘go-to EDM Festival in Asia,’ the pioneering event can now be relived through this epic aftermovie. The 7-minute 4K experience begins with panning aerial drone shots picturing the vibrant buzz of life in the Korean capital, Seoul. As the camera pans across historic architectural landmarks in the city, including the Dongdaemun Design Plaza, Gyeongbokgung Palace and Gwanghwamun Plaza, the vivacious and diverse culture in Seoul truly comes to life. With the camera finally settling on the Olympic stadium, the tone and setting of the event is perfectly exposited. Crafting a story within the film, the Final Kid team focuses on two leading protagonists, Korea’s hometown hero DJ Raiden and fashion designer Younhee Park and her brand Greedilous. While they both prepare to attend the show, tension builds exponentially as the footage is soundtracked by Raiden’s brand new collaboration with Bright Lights. As the event kicks off and revelers flood into the venue, Ultra HD footage reveals the unfolding events with a tangible anticipation. Simultaneously cutting between beautifully framed shots of jubilant crowds, dancers, pyrotechnics and DJs, the grandeur of the event is crystal clear. Final Kid’s stunning cinematography pulls together all the elements in play at the event and exposes the organized synergy at the heart of the spectacle. As day turns to night, Skrillex and Hardwell announce their presence, with the light and laser shows taking on newfound eminence. Cut with bustling scenes of Seoul at night and Younhee Park’s VVIP journey to the event, the aftermovie reveals the wider reach of the occasion, as it is live streamed throughout the capital on giant billboards. Showcasing the wide spread of talent across the two days, the aftermovie reveals a sneak peek into the ecstatic ambiance present as international superstars David Guetta, Snoop Dogg, Porter Robinson and more take to the stage. A truly stunning filmmaker, Final Kid’s method of video production has become synonymous with the aftermovie genre. Clocking up hundreds of millions of views worldwide, his footage is unmatched in the industry as he consistently captures the essence and character of each Ultra event in perfectly packaged form. As we approach the end of the year the next event in the Ultra Calendar is Ultra South Africa, which takes place in Johannesburg and Cape Town 26, 27, 28 Feb, while the flagship Miami event March 18, 19, 20 during Miami Music Week 2016.